Many Australian grasses are as spectacularly beautiful as the finest in the rest of the world. They are, of course, much better adapted to our varied Australian climates. 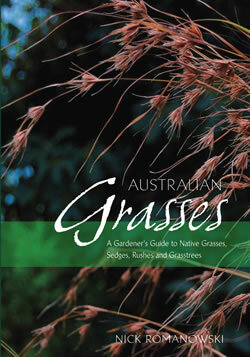 This book describes around 200 species of grasses, sedges, rushes, grass trees and related plants, tells you how to propagate and grow them, and is illustrated with photos taken in rainforests, wetlands, mallee scrub and gardens from around the country.